Howard Lederer - The Most Hated Man in Poker? 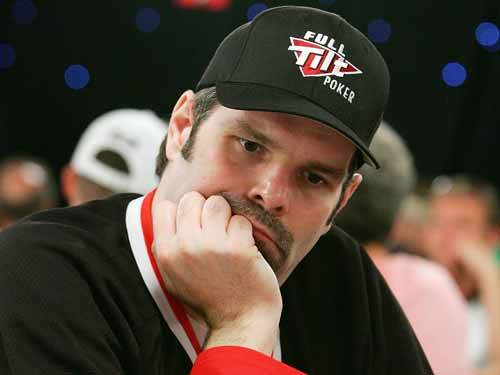 Home » Players » Howard Lederer – The Most Hated Man in Poker? Howard Lederer – The Most Hated Man in Poker? 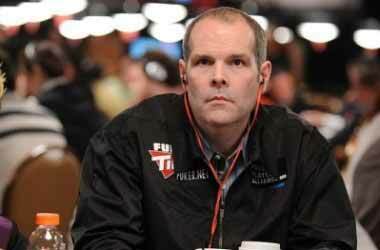 Howard ‘The Professor’ Lederer is one of the most prominent and well known member of the former Full Tilt Poker team. He was a leading shareholder and director of the company and is now probably the most loathed man in the poker world due him shouldering a lot of the blame for the events of Black Friday. He is known throughout the poker world and in years past he was very much in the public eye with regular appearances as a commentator / expert on a number of TV poker shows. Howard was heavily involved in the development of Full Tilt Poker right from the very start and had an input in shaping the room into the hugely successful and popular room that it is today. He is no longer involved in Full Tilt since they were taken over by Pokerstars after Black Friday. Growing up in Concord, New Hampshire, Howard and his sister (Annie Duke – another well known professional poker player) learnt to play cards at an early age, largely due to their father Richard Lederer. Richard was a competitive character and this trait quickly passed onto Howard and Annie. Howard was due to attend Columbia College in New York City, but decided to take a year out to follow his ambition of becoming a professional Chess player. It was during this year and in pursuit of his Chess dream that he stumbled across the Mayfair Club in New York. This famous club which also produced other great poker players such as Dan Harrington and Erik Seidel, was the re-introduction to poker that Lederer needed and in particular he was introduced to Texas Holdem, the game that was taking over the modern poker world. Howard soon became part of an elite group of players who formed at this club. This group would play poker all evening and then after they finished playing would all go off and drink at the bar whilst discussing the evening’s poker and discussing better strategy. Towards the end of the eighties Howard was playing in higher stakes games and had outgrown the games he had been a regular at. It was at this time that he moved to Las Vegas to seek out these higher stakes games. It was also around this time that he went on to teach his sister Annie Duke who also went on to move to Las Vegas together with her Husband later that year. Annie has gone on to become one of the most successful female poker players of all time and both Howard and Annie hold a record as the first brother-sister combination to make it to the same WSOP final table. The nickname of ‘The Professor’ was largely given to Howard as a result of his analytical and mathematical approach to Poker, this probably as a result of his history as a championship level Chess player and Backgammon player, giving him a good foundation for this style of play. Despite being nicknamed ‘The Professor’ and being recognised as one of the most astute and clever players around, the ironic fact is that Lederer never did find his way to college after taking a year out. During the 1990′s Howard really became a feared opponent and became known to everybody on the poker scene. During this period Lederer cleaned up at the high stakes cash games and built a secure financial future for his family. It wasn’t until 2002 that Lederer came more into the public eye when during the poker boom he focused more on the big tournaments than the cash games. During 2002 and 2003 he won two World Poker Tour events just as the WPT was at the height of popularity, the 2002 $10,000 World Poker Finals at Foxwoods Resort in Connecticut and the Party Poker Million in 2003. He was also awarded the WPT Player of the Year honour in Season 1 of the tour. Lederer also has an impressive record at the World Series of Poker making eight final tables and winning two bracelets in the 2000 $5,000 Limit Omaha Hi-Lo and the 2001 $5,000 Deuce to Seven Draw events. Howard has proved himself as an astute businessman as well as a world class poker player and developed his profile and his off the table work through developing a series of instructional poker DVDs and through his appearances on many poker shows as a commentator / expert. Lederer was also a founding member and major shareholder of Tiltware LLC which is the company that launched Full Tilt Poker. He was known as one of the three main owners of Full Tilt Poker along with Chris Ferguson and Ray Bitar who were all directors of the company and active in building Full Tilt into a billion dollar company. 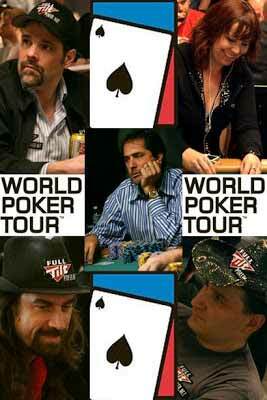 Unfortunately their world was turned upside down when the Full Tilt Poker website was shut down and confiscated by the US DOJ and Ray Bitar (the CEO) was indicted on charges of bank fraud and illegal gambling on the basis that Full Tilt Poker had continued to accept US players after the UIEGA was passed in 2006. Lederer and Ferguson would also be targeted by the US Government and civil cases brought against them for their role in the management of Full Tilt Poker. The poker world still holds Howard responsible for the events that nearly bankrupted Full Tilt Poker after Black Friday. These events almost brought Full Tilt Poker to bankruptcy after it was revealed that they did not hold enough cash to repay players balances due to cash that had been intercepted by the US government or stolen by unscrupulous payment processors. There is also a big question mark over the distributions made to Full Tilt owners during the preceding years which totalled $440 million, with some claiming that this was players money distributed. FTP had to shut down operations with a massive cash shortfall and left player balances frozen and locked on the site. Lederer went to work to try and find a buyer to take over the ailing company and provide the funds required to repay players. This went on for over a year, with players unable to access their funds. Eventually a deal was struck between Full Tilt Poker, The US Department of Justice and Pokerstars, where Lederer and all the other owners of Full Tilt surrendered the assets to the US DOJ and Pokerstars purchased the company from them in a deal worth $731 million. In the end everything worked out ok, The US DOJ got their “fine” for the supposed illegal activities, the players got their money back (although some US players are still waiting for the DOJ to repay their balances) and Pokerstars earned a lot of respect in the poker world for rescuing Full Tilt Poker and getting all it’s players paid. Since then Pokerstars have re-launched Full Tilt Poker who are once again one of the largest poker sites in the world, second only to their parent company. Lederer settled his civil lawsuit with the US government in December 2012 surrendering assets and cash worth many tens of millions. 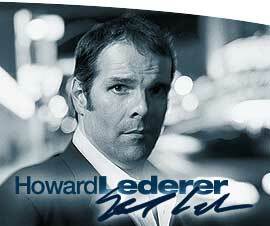 In September 2012 after the company take over was complete, Howard gave an interview series to PokerNews called “The Lederer Files” in which he broke his silence about all the events that had gone on. It may take some time before Lederer is accepted back into the poker community, he has been spotted a couple of times playing at private tables in Las Vegas casino’s but he has not been forgiven yet for the part he played in the mismanagement of Full Tilt Poker. Who knows, we may one day see his return but for the moment he has stayed away from large poker tournaments and events.